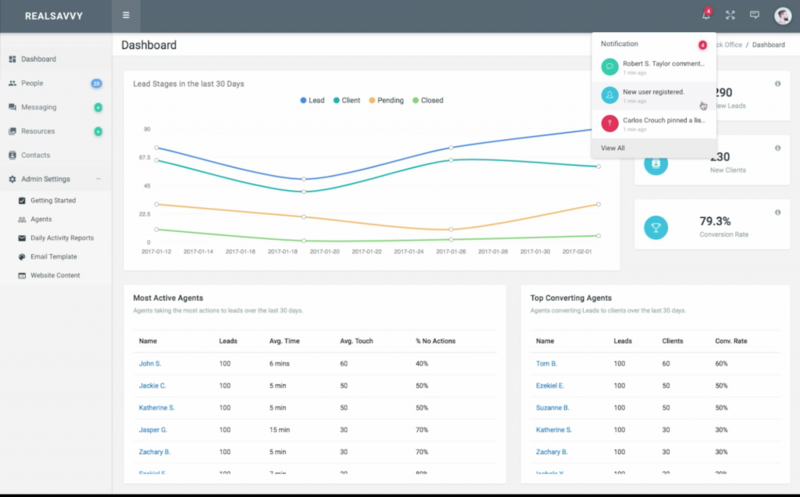 RealSavvy, which started in 2014 with the goal of making it easier for agents and their clients to communicate, has recently rolled out its newest offering, an interactive CRM tool. It allows clients to let their agents know what they think about homes they see. It also routes leads to the agent on a team or in an office best suited to handle them. RealSavvy debuted in 2014 by introducing an IDX lead-tracking platform that allowed clients to use a Pinterest-style approach to let agents know which listings appeal to them. The platform initially found leads on sites such as Zillow and Realtor.com, but has been expanded to handle MLS feeds as well. As the platform became more popular, RealSavvy next starting building real estate websites in 2016 with IDX integrated into those sites. Now, the CRM will be an additional service to support agents. The biggest problem with most CRM systems, according to RealSavvy CEO Rick Orr, is that they require a lot of work, such as agents inputting the comments from every client after every showing. 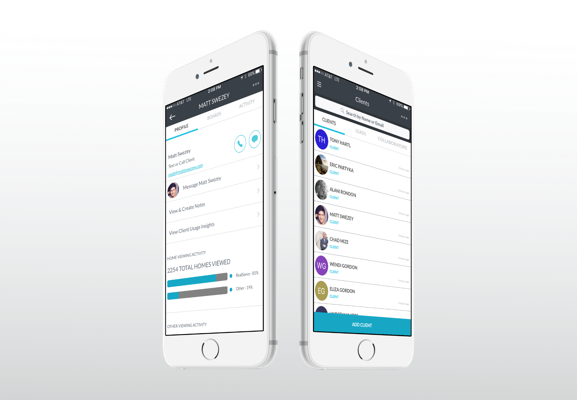 RealSavvy’s new CRM allows clients to input their thoughts on a listing or on a lead so agents have them immediately. “In every other CRM, that bit of data would need to be keyed in by agent. Ours does it in real-time way, because it lets the client create CRM data rather than the agent,” Orr explains. By using the CRM, agents can now be more responsive to client needs and more successful at matching new leads with individual clients. According to Matt Prewett, broker/owner of Breakaway Real Estate in Austin, RealSavvy’s collaborative IDX solution has fundamentally changed how he and his agents communicate with their clients. The CRM comes built into RealSavvy’s leads system and its websites for single agents. It costs an additional $35 per month for additional agents. Costs for RealSavvy’s other offerings can vary depending on the size of the brokerage or team involved. Generally, they start at $299 a month for RealSavvy to host agent sites and $599 for teams. RealSavvy’s setup fees start at $299 to create a website. RealSavvy can also integrate its leads generation platform and CRM into existing sites and other CRMs; costs for that vary. RealSavvy’s services seem to be connecting with agents. The company has hundreds of customers across 31 active MLSs, ranging from individual agents to teams.